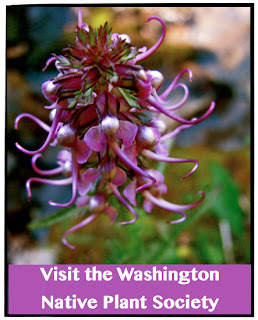 Do you wonder about the plants you see while hiking in Washington's parks, forests and meadows? Are you interested in the gardening, ethnobotanical, and wildlife benefits of native plants? Chapter meetings with fellowship and stimulating presentations plus occasional seminars and symposia. 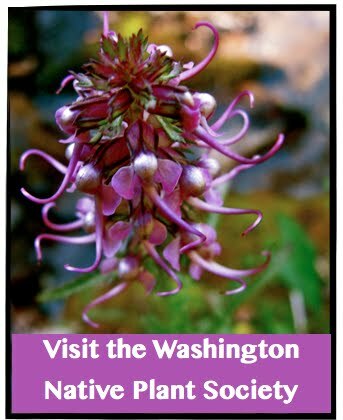 Field trips to admire, study and photograph wildflowers and plant communities. Native plant and seed sales and native plant salvage events. Volunteer opportunities in education, restoration and conservation projects. Participation in the WNPS List Serve discussion and notification e-mail service. 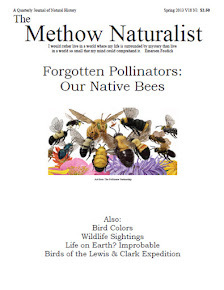 Publications, including a quarterly journal, Douglasia, Occasional Papers featuring in-depth studies of native plants and habitats, local chapter newsletters, posters, and educational materials. Study weekends held annually in different ecosystems around the state. Workshops on plant identification, landscaping, propagation, etc. Grant funding for education, conservation, and research projects. Discounts on select books at chapter functions (not all chapters, no mail order). Each membership includes affiliation with one chapter. For additional chapter affiliations add $5 for each additional chapter. please visit our state membership site here.